The new face of OMC: A four-story obstetrics wing scheduled to open in early 2017. 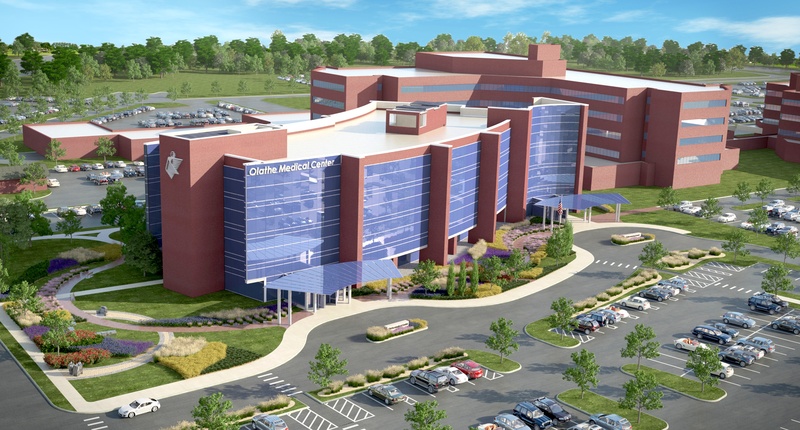 Olathe Medical Center, OMC, is getting a $100 million facelift. By the time it’s completed in early 2017, not only will its entry way be different, it also will be the entrance to the hospital’s new four-story obstetrics wing with a Level II neonatal intensive care unit (NICU). OMC officials also revealed to the more than 500 people who attended Friday’s (Jan. 30) Olathe Chamber of Commerce Luncheon that three other construction were scheduled to take place this year on the hospital’s 250,000-acre campus: a free-standing cancer center; the addition of a memory care neighborhood at Cedar Lake Village; and an expanded cardiovascular center. Chris McCartney has been named Olathe North High School head football coach for the 2015-16 school year. He replaces Gene Wier who accepted a recruiting job with the University of Kansas football program. McCartney is currently a teacher and assistant football coach at Olathe North. He has been with the school for 18 years, the last 11 as the defensive coordinator. Two lobbyists with past ties to Kansas Gov. Sam Brownback received a preview of his proposals for balancing the state budget in an email from his budget director through a private account weeks before Brownback formally outlined the measures for legislators, The Wichita Eagle reported Tuesday. A bill in the Kansas Senate would stiffen penalties for home burglaries, but senators are worried that the measure might further strain the state’s crowded prisons. Assistant County Attorney for Leavenworth Christopher Scott testified to the Senate Corrections and Juvenile Justice Committee on Tuesday that other than murders and rapes, home burglaries touch victims on a deeper level than any other crime. The spending goal, revealed Monday at the Kochs’ annual winter donor retreat near Palm Springs, Calif., would allow their political organization to operate at the same financial scale as the Democratic and Republican Parties. It would require a significant financial commitment from the Kochs and roughly 300 other donors they have recruited over the years, and covers both the presidential and congressional races. In the last presidential election, the Republican National Committee and the party’s two congressional campaign committees spent a total of $657 million. The Olathe Public Schools mail-in ballot for the Local Option Budget passed today with 79.2 percent of the vote, according to the Johnson County Election Office.